Imagine a factory where only the walls, roof and floor are fixed. 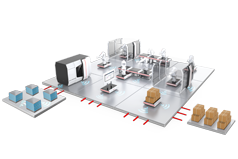 Machines and systems will communicate wirelessly, production equipment will prepare itself independently and flexibly for new orders. Completely connected machinery will manufacture serial and custom-made goods with maximum flexibility independent of lot size. Welcome to the Factory of the Future. 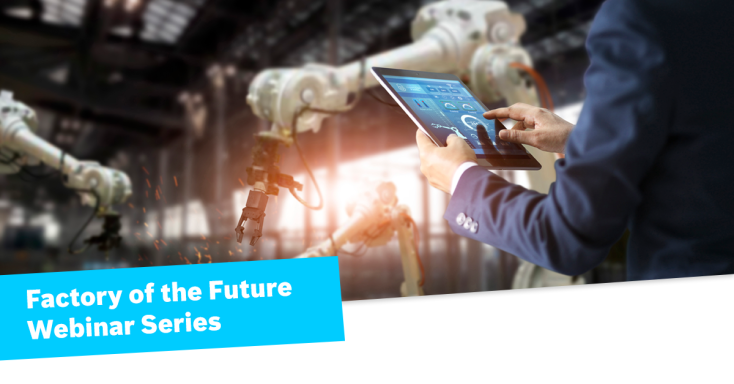 From open standards to distributed intelligence and mobile production equipment, in Episode 1 you will learn how the Factory of the Future looks like and the required technologies and infrastructures to build your Factory of the Future, already today. 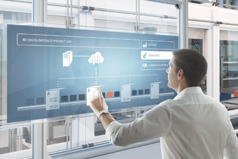 In the Factory of the Future connectivity is key. Everything is connected, from field level to cloud-based solutions. Sophisticated software solutions collect, transfer and process data from manufacturing and logistics to provide maximum production transparency. Need to change your production line by tomorrow? No problem. The Factory of the Future is flexible and can adopt to fast-changing requirements at any time. Equipment is based on production modules which can easily be (re)configured. 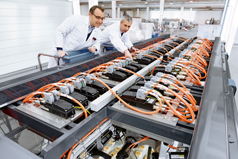 Learn about the automation technologies behind a flexible future.